•Big advantage of synchronous condenser is their large temporary overload capability and good harmonics performance. •Synchronous condenser is a synchronous machine which is use to generate or absorb reactive power. •When it is absorbing power it acts like inductor and when it is generating power it acts like capacitor. •When absorbing power it is underexcited and when generating power it is overexcited. •Its reactive power output can be control by varying excitation current. •It is use for shunt reactive power compensation and to improve the stability of the system and to maintain the voltage at desired limits. •It is a type of active shunt compensation device. •Machine generated voltage and system voltage is equal. •Synchronous condenser is connected to power system via coupling transformer. •Due to continuous operation machine gets heated so hydrogen cooling is use for cooling the condenser. 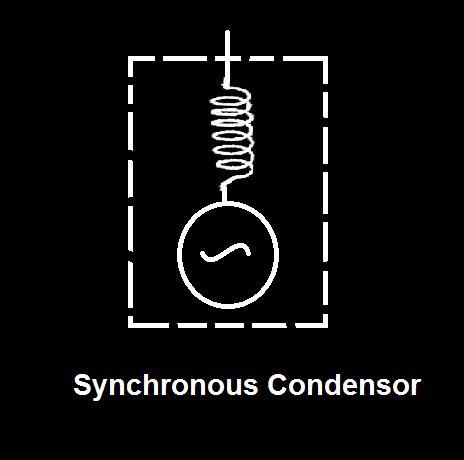 •Synchronous condenser are more expensive than static compensator. •Synchronous condenser is use at HVDC terminals. •Synchronous condenser is use at both transmission and distribution voltage levels. 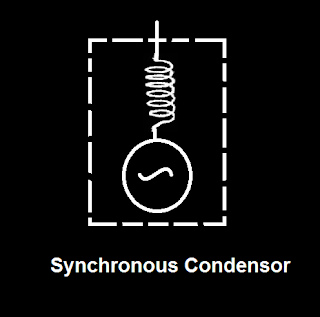 •Synchronous condenser have slow speed of response. Explain working of superheater and condenser.